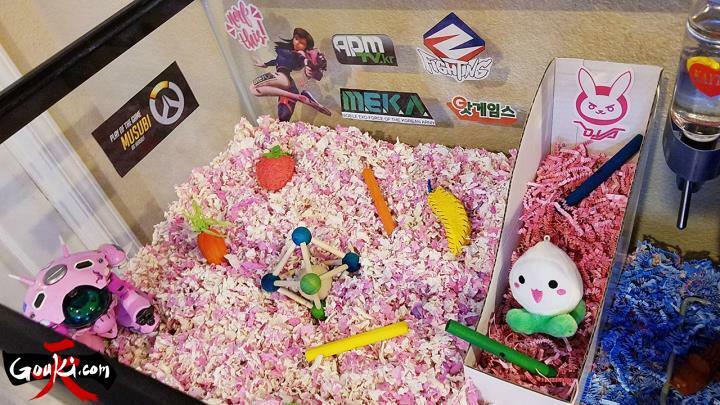 D.Va Decals were printed on paper and cut out individually with an X-Acto Knife and then attached to the outside of the tank. 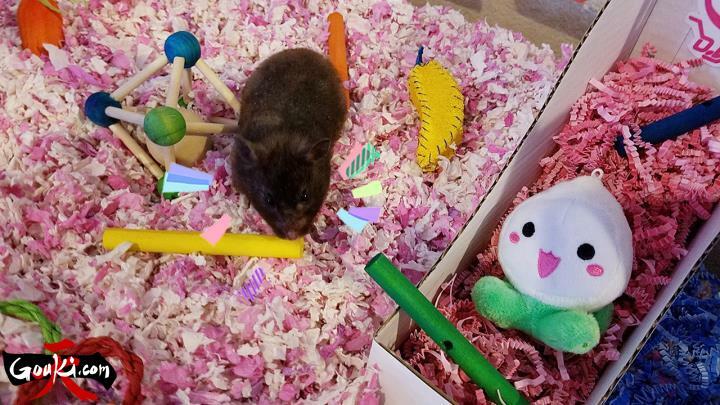 Musubi’s favorite foods and snacks are Mazuri Rat Blocks, Higgins Sunburst Seed Mix, Whimzeez Alligator Chews, Freeze Dried Mealworms, Blueberry and Sweet Potato Baby Cereal Puffs, various fruits and veggies and for a special treat she loves Scrambled or Boiled Eggs. 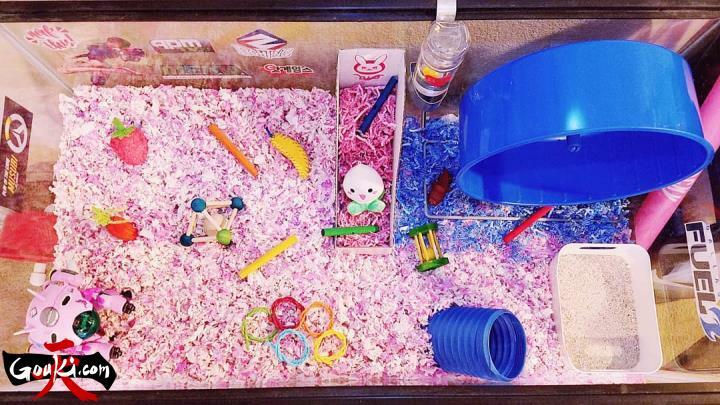 Musubi has great taste in foods and in her decor. She is the bomb. 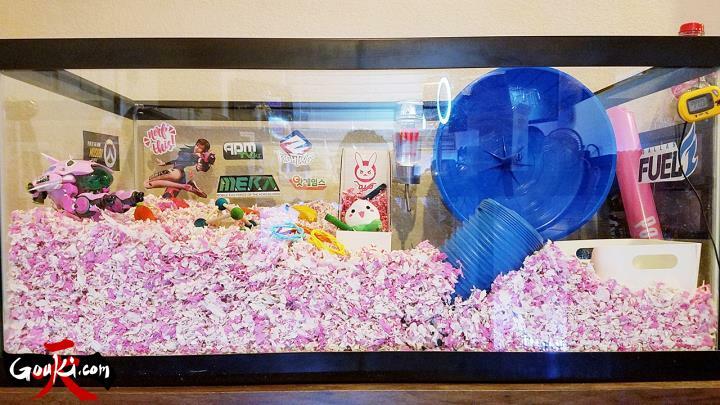 The entire tank build took Skeliora about 2 ½ hours, but the results show how stylish Musubi is in her D.Va themed home. 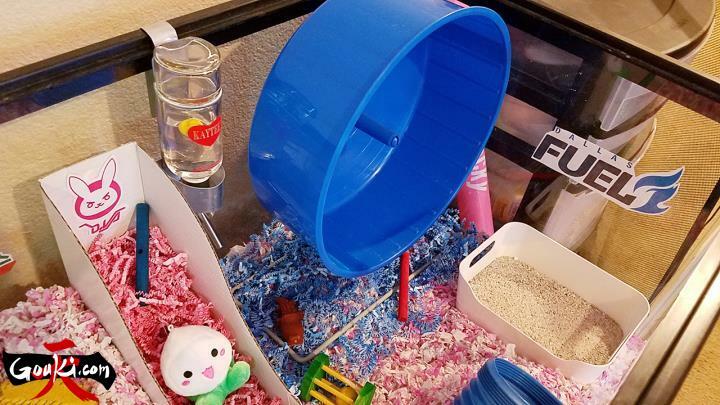 She is the envy of all her hamster friends. 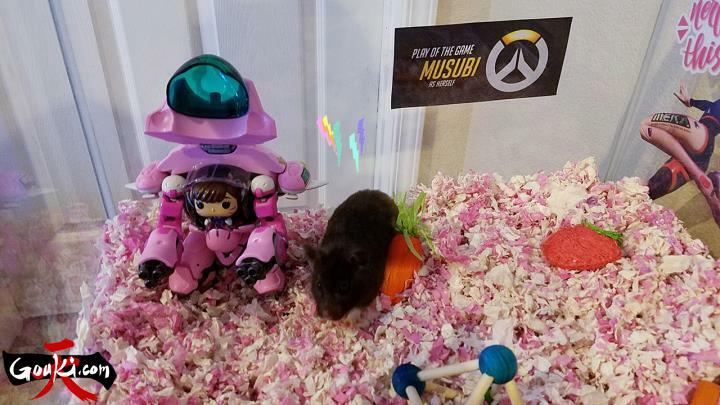 Skeliora is one of the biggest Overwatch fans I know and as you can tell absolutely loves Musubi. 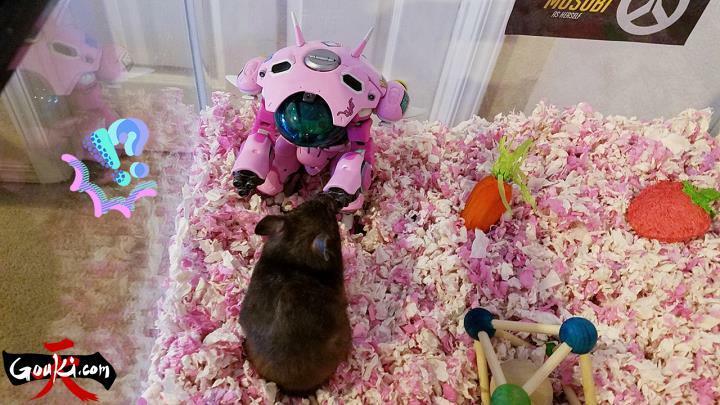 How long before Musubi has her own controller and is wrecking fools playing as Hammond? 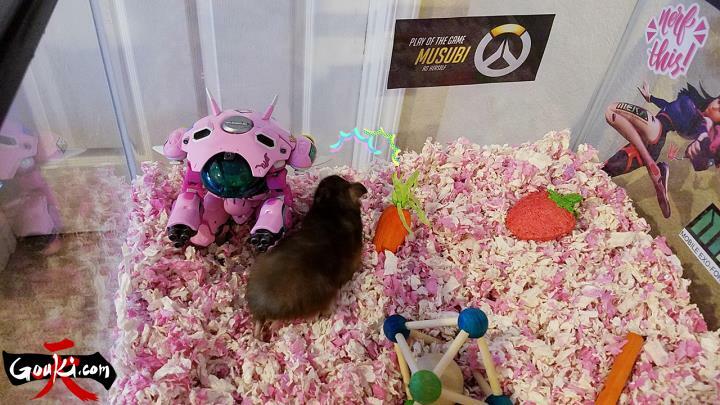 Stay tuned for more Musubi Overwatched themed homes.